Always starving? Check out my 5 tried and true ways to eat healthy and still feel full. I’ve always tended to be more of a snacker than full meal eater. Unfortunately, when snacking I usually mindlessly eat, which meant I was eating too much. You can take this fun short quiz at POPSUGAR to see what kind of snacker you are. It was such an eye opener when I started really paying attention to what I was eating several years ago. I discovered that by pinpointing healthy solutions to bad snacking habits I would probably be a lot healthier, but that isn’t always an easy task. I know this time of year is tough for a lot of us trying to eat healthier in the New Year as we start really, really missing our old bad habits so I’m sharing 5 ways to eat healthy and still feel full. 1. Drink more water. Did you know that sometimes when your feeling hungry and your stomach is growling you may just actually be thirsty? Drinking a good amount of water not only helps your energy level and skin, but also helps you feel fuller. You can drink things like unsweetened teas and coffees, too, but remember to not drink your calories as you will certainly be hungry in the end. 2. Eat fewer foods that don’t keep you feeling full. As I just mentioned, you have to be really careful to not drink a lot of calories as they go fast. I also have certain foods I love that just don’t keep me feeling full long. For example, I love Chinese food but even if I have a nice portion size, I start feeling hungry in just a couple of hours. While I’ll still enjoy a good Asian meal now and then, I try to mostly stick to high protein and high fiber foods like lean meats and lots of veggies because they keep me feeling fuller longer. 3. Make a point to really enjoy your food. Being a mindless eater I know all about eating but being so distracted by TV, work, or just being lost in my thoughts that I don’t even really recognize that I’m eating. When having a meal, really focus on enjoying the food, and make sure it’s something you really enjoy eating, too. 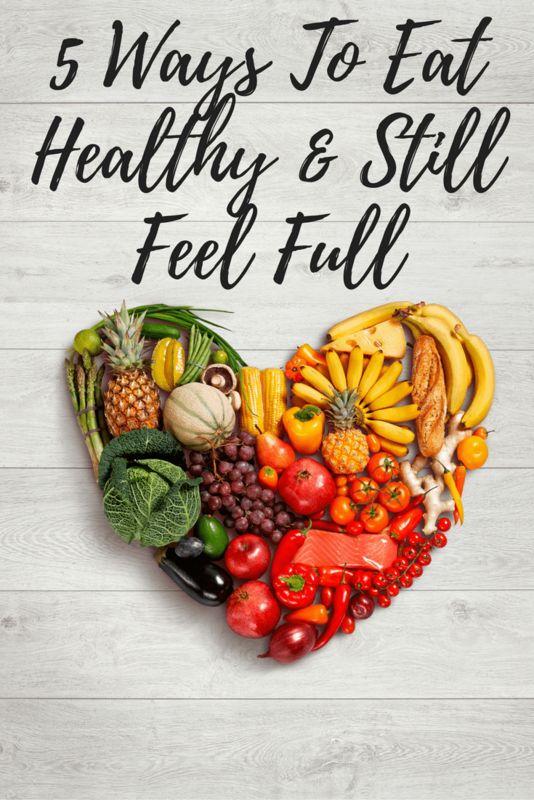 Actually feeling satisfied by enjoying what you’re eating will help you make healthier food choices that can actually help suppress your appetite. 4. Let your body have time to adjust. If you’re like me, your body might be used to overeating. Yes, your stomach can actually stretch over time when you eat more, meaning it takes more food and water for you to feel full. The good news is that over time your stomach will eventually get used to you eating in moderation versus mindlessly eating so your body will adjust and feel fuller. 5. 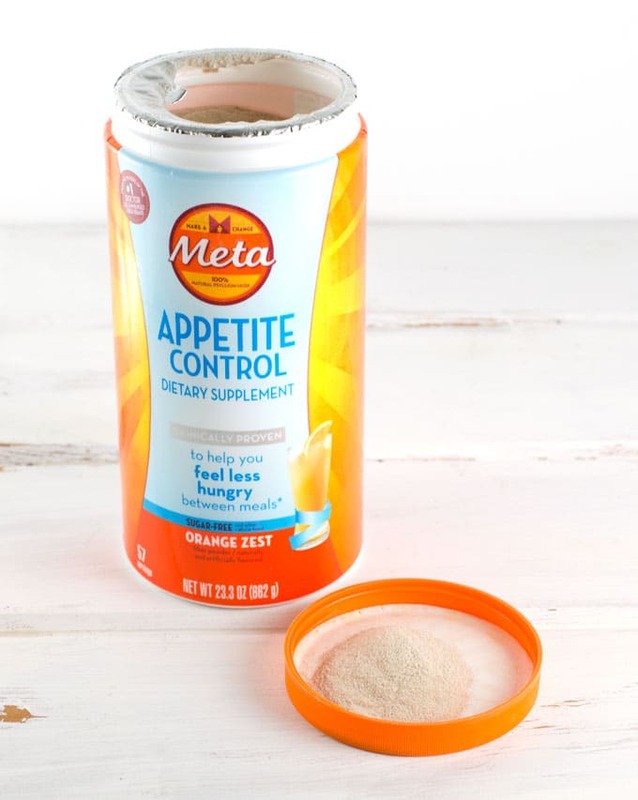 Give Meta Appetite Control a try. One thing I have found really helpful to help me get back on track after overindulging over the holidays is Meta Appetite Control. 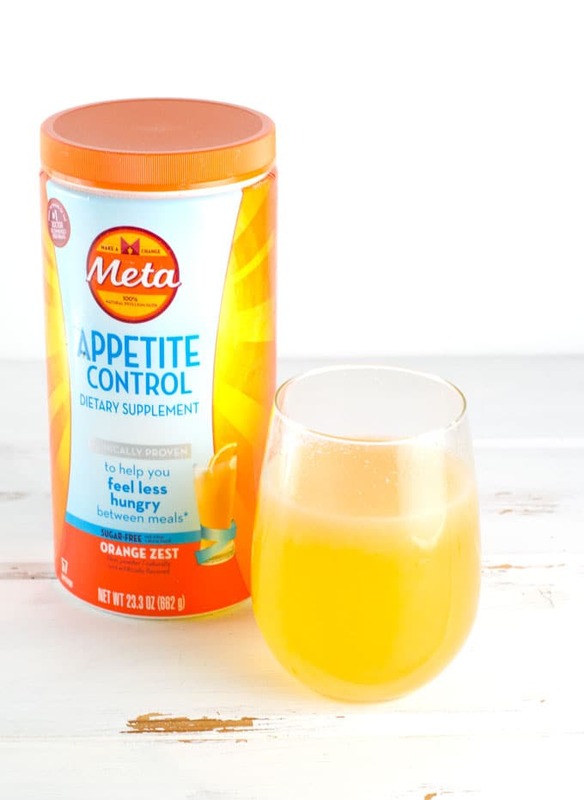 Meta Appetite Control is a fiber supplement from the makers of Metamucil and contains 100% natural psyllium. It is clinically proven to help you feel less hungry between meals* so you can break up with those daily snack cravings. It works naturally with your body as the psyllium fiber thickens and forms a gel in your digestive system to help suppress your appetite by slowing absorption and digestion. You can mix it into whatever liquid you like such as plain, cold water or your breakfast smoothie. If you’d like to give Meta Appetite Control a try, head on over and print this Meta Appetite Control Coupon. To help you stay on track with your healthy habits this year, SheSpeaks.com is giving away a Meta Appetite Control prize pack and a FitBit Flex 2! Head on over to the #MetaSnackID giveaway page to enter to win. Good luck!